TPD stands for Tobacco Products Directive,is the new regulation of all tobacco-related products across the European Union. The first was introduced in 2001, and in 2011 they decided to include e-cigarettes, which are classified as tobacco-related products. Max size of cartridges or tanks cannot exceed 2ml. Electronic cigarettes must provide a consistent dose of nicotine. E-cigs and refill containers must be leak free. If a “competent authority” believes any product may present a health risk they may be prohibited. If 3 member states prohibit a product this can then be extended to all EU member states. 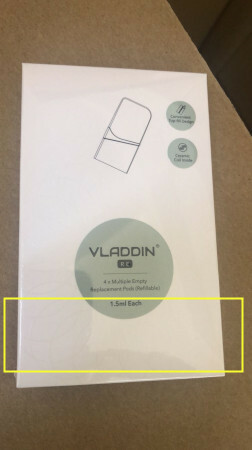 There are no rules in the standard edition, so there is no need to display specific information on the vladdin box. 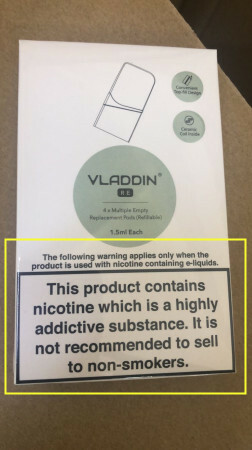 The TPD edition needs to display specific information on the vladdin box.